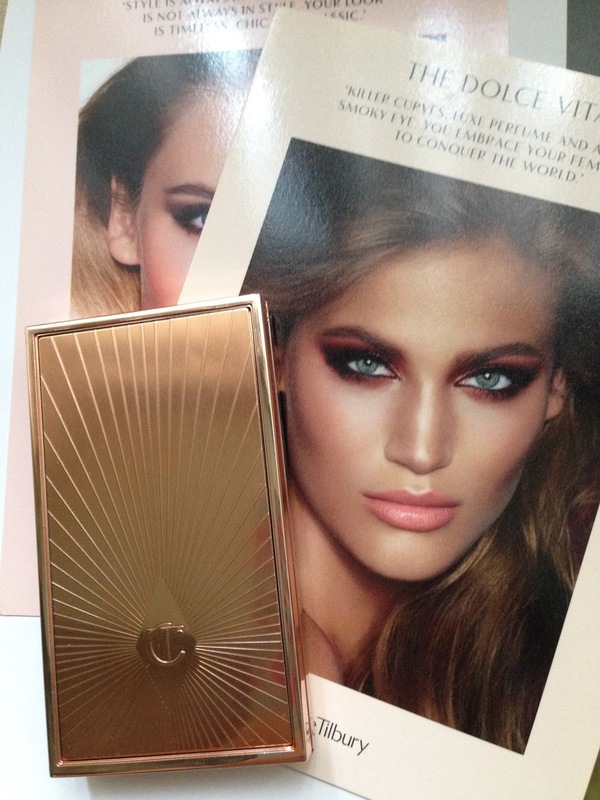 Since Charlotte Tilbury launched her own makeup range a year ago, her products have right away become the most lust after products. 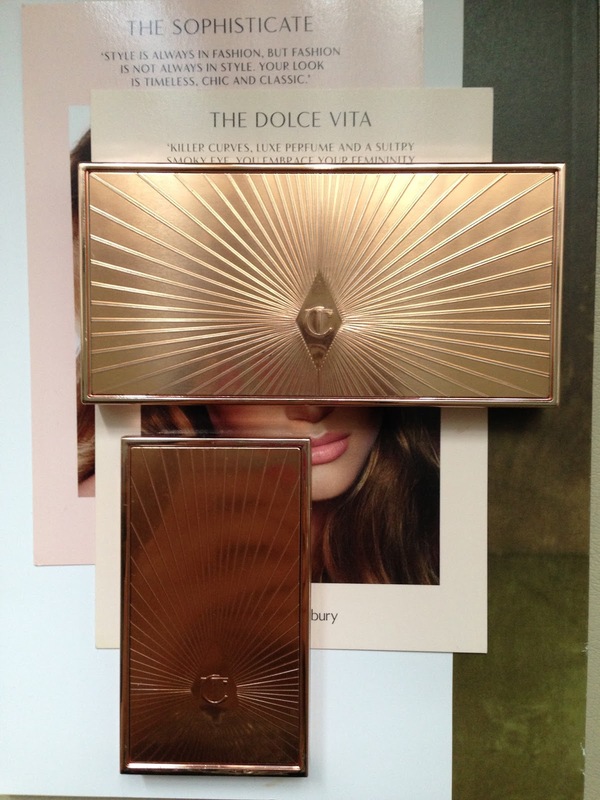 The most “wow” piece would have to be the famous Filmstar Bronze & Glow. 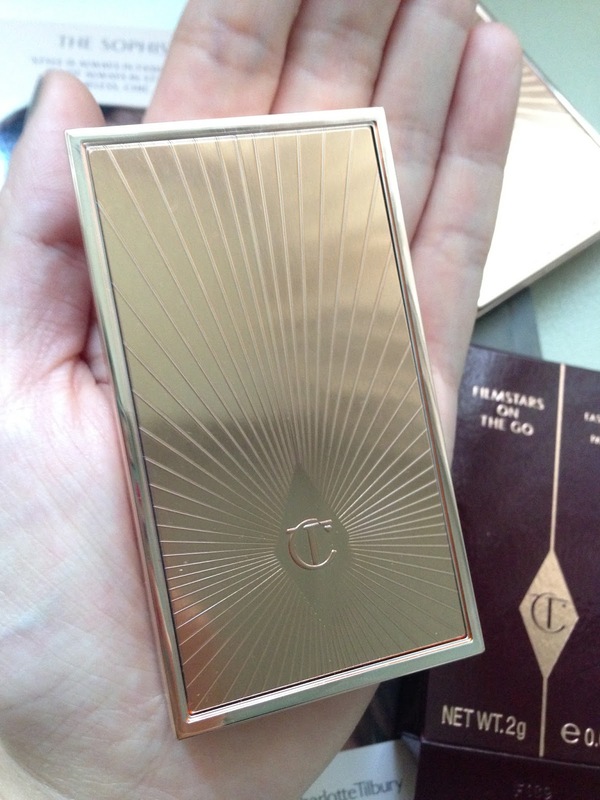 Not only the products are amazing in quality, but also the gold vintage packaging is lush!! I would love to carry it round with me but it's slightly big for handbag & it's not like I need to top up bronzer & highlight throughout the day. I was thinking, "if the size can be smaller, handbag friendly & with products that I can use on the go, that would be a dream come true" And recently my dream did come true! The answer is Filmstars on the go Palette. 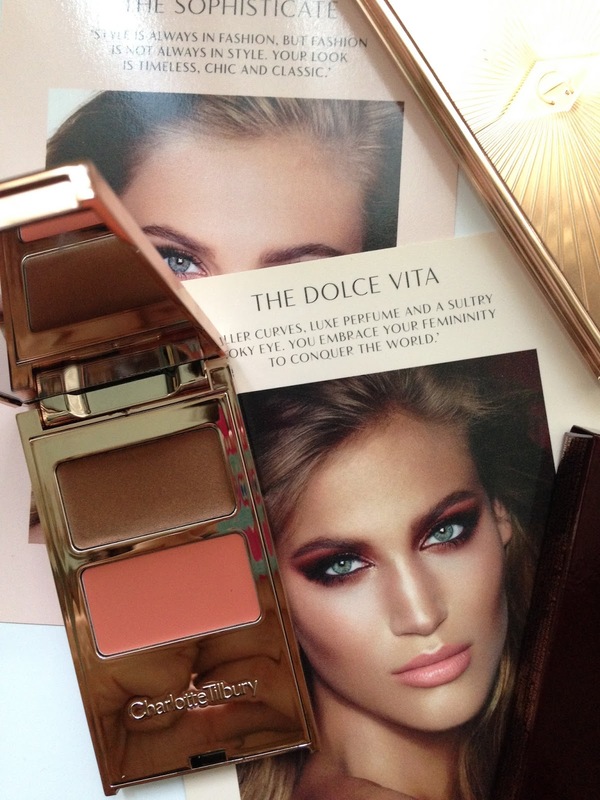 Filmstars on the go Palette has the same beautiful gold vintage packaging. The size is about half of the bronzer / highlighter duo. So cute!! The lid is a mirror which is big enough to use on the go. 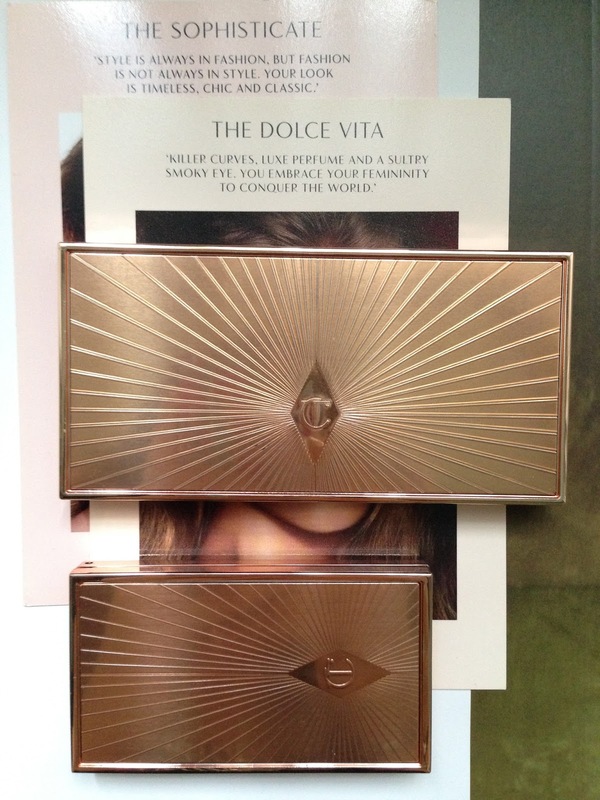 Inside the stunning packaging are the eye & cheek duo. Both are in cream form, the idea is both products can be easily applied with fingers on the go. 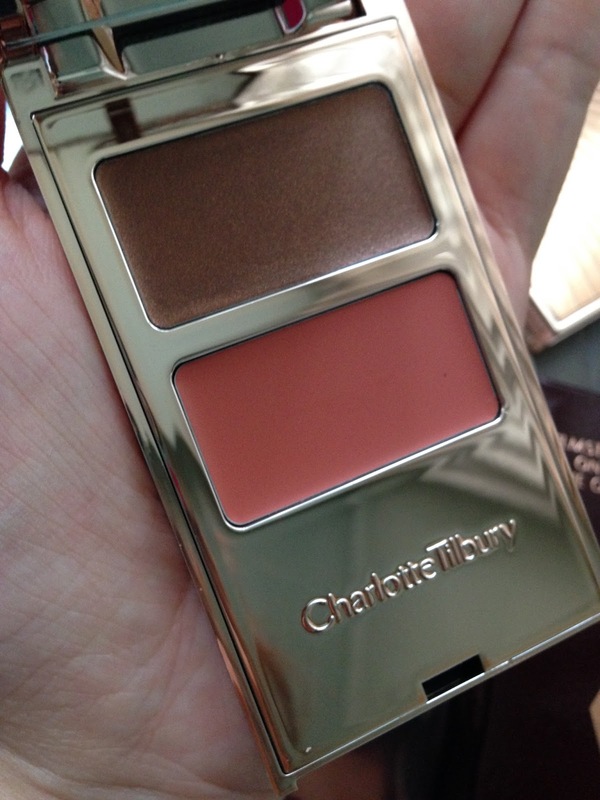 I have got the palette "Breakfast at Tiffany". 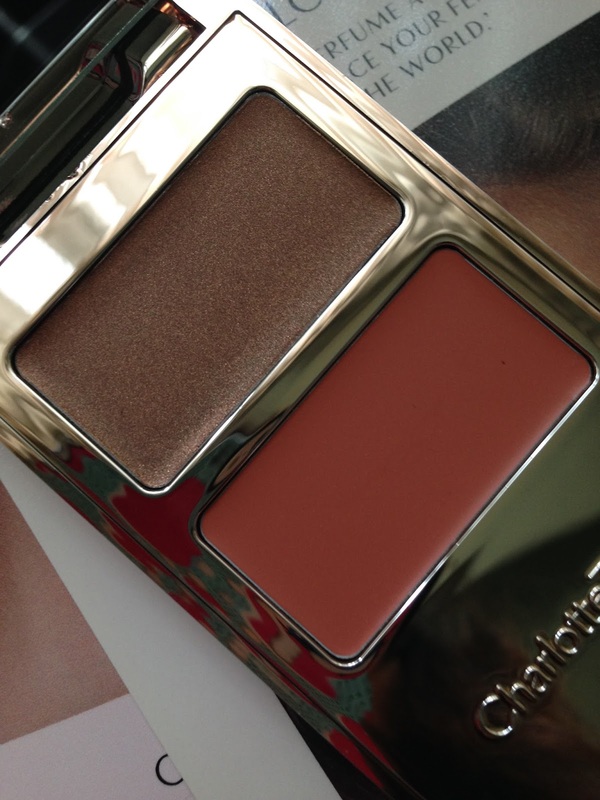 Bronzey eye with a touch of shimmer and coral cheek. The cheek cream can also be used on the lips too!! 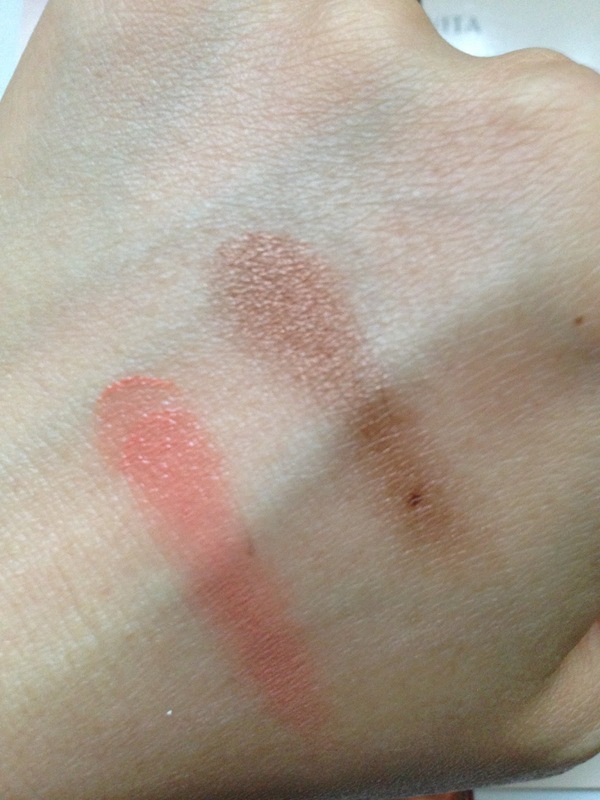 The duo are pigmented but easy to blend. The texture is fine, detailed & smooth. It must be because of the anti-aging Apricot Seed Oil and other goodness in the formula.